for such a small creature. Our vision is based upon a very small sliver of the electromagnetic (EM) spectrum. 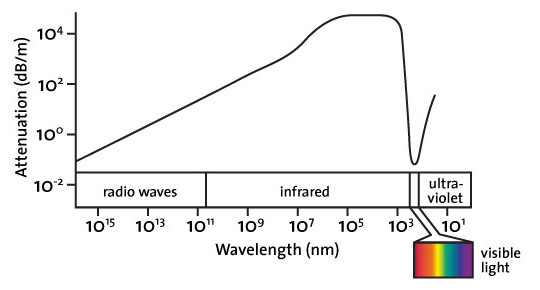 Humans can sense EM radiation between the wave lengths of 380 nm and 750 nm, ranging from violet through red. 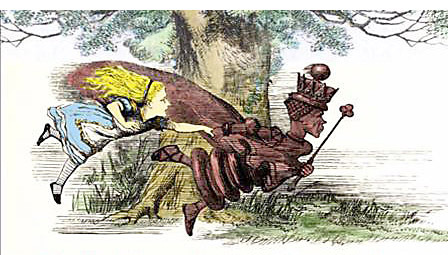 We cannot see, however, all the electromagnetic chatter that is happening around us outside the visible range. We’re bathed in an ocean of electromagnetic waves all day, every day. There is nothing qualitatively different about the visible portion of the spectrum compared to radio waves or ultraviolet waves, for example; it’s just that we can sense some waves (which we call light), yet have no awareness outside this narrow range. There’s a very good reason for this—it’s not just a coincidence. It’s because of the way light attenuates in water. Attenuation is the physical property that describes the gradual decrease in intensity of electromagnetic radiation as it travels through a medium—in this case sea water. When the Sun’s rays reaches the surface of the ocean, visible light is absorbed at the longest wavelengths, red and orange, first. Blue and violet wavelengths reach deeper into the water column, which is why deep-ocean water appears blue. The attenuation (decibels/meter) of EM radiation in water as a function of wavelength (nm). EM attenuation in water drops six orders of magnitude just around the visual range. Now expand this concept to the entire spectrum of EM radiation. Species began to evolve eyes during the Cambrian explosion (about 540 million years ago), while life was still confined to the sea. Eyes developed sensitivity to the 380-750 nm range because that band of EM radiation travels through water with an attenuation 1,000 orders of magnitude lower than that of adjacent wavelengths. Being able to see in deeper water provided an evolutionary advantage, so the earliest animals developed sensitivity in the portion of the spectrum that reached the greatest depth. During this time the eye developed rapidly. 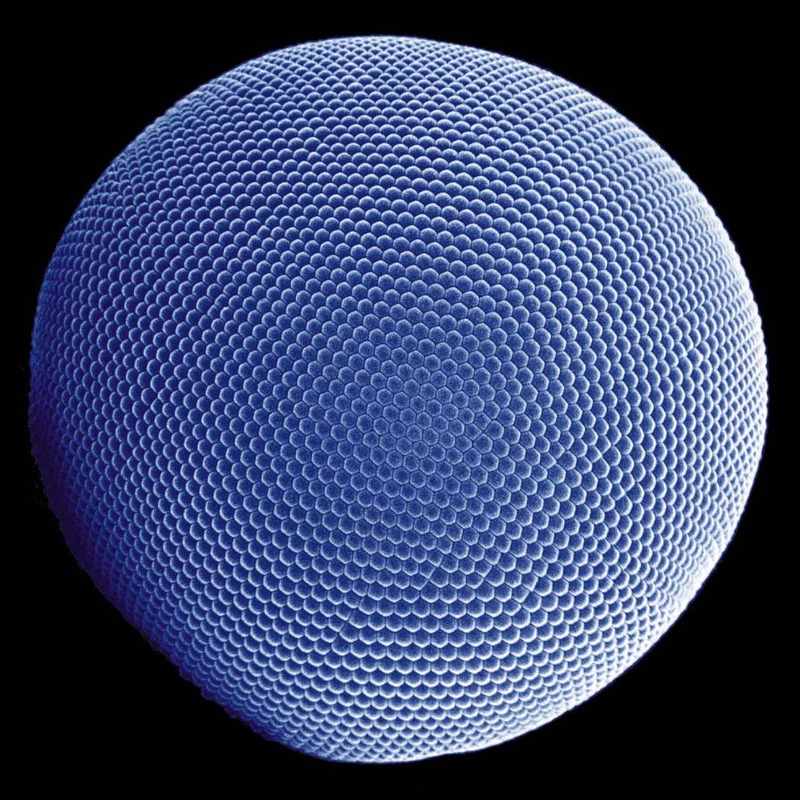 After creatures began to move onto land, there was no evolutionary incentive to see a larger portion of the spectrum because every other organism also saw in this range. 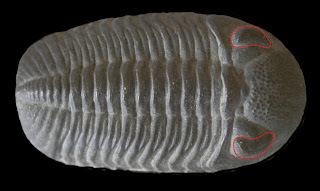 A Trilobite fossil with the eye structure outlined in red.